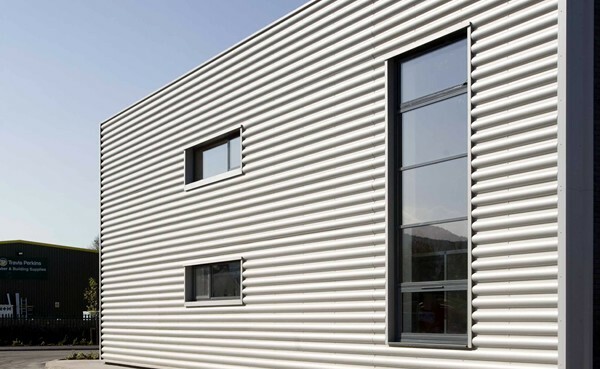 The build-up of grime on commercial cladding looks unsightly and leads to dirty streaks on windows. As a result it gives a property a tired appearance. This may affect the impression your clients get when they visit your business premises. We use the latest in water fed pole technology to clean exterior building cladding, and the exterior gutter pipework. We are more cost effective because we clean from ground level up to 40ft in height. However, for greater heights we are fully IPAF licenced and insured to operate scissor lifts and cherry pickers. Schools, colleges and universities – staff are fully DBS checked to work where children are present. Large / small offices and commercial sites – all work is covered by our £1.5m public liability insurance. Warehouses, factories and construction – we hold CSCS cards to work on construction sites. Retail and supermarkets – we have an out of hours team available to fit around busy operating hours. Solicitors, doctors, dentists – are team are fully uniformed, professional and discreet. Above all our commercial team understand the individual needs of your business. If you own a busy retail site and need commercial cladding cleaning out of hours. Or run a school where children are present so cleaning needs to be done during school holidays. Whatever your business needs our team offer scheduled or one off cladding cleaning available on a timescale to suit. Our cladding cleaning also includes the exterior cleaning of your gutter pipes. So if your building has blocked gutters please click here for further information. To find out more or for your free commercial cladding cleaning quote please contact us or visit our FAQ page for further details.